"My beard [cost] me this chance. They (officials) just look at your face and when you have hair like mine you're kicked out." - Kenyan junior 1500 runner Nicholas Kipchumba who was one of seven Kenyan athletes disqualified from their World Youth Championships trials due to age-cheating by trying to race under a younger athlete's name. An AK official said, "We would rather take a weak team and lose fair and square than go with a team that will later be banned by the IAAF for age cheating.". Ben Johnson SMOKED last leg of his relay tonight! 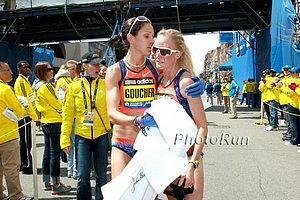 HASAY TO BE COACHED BY SALAZAR??? Upcoming *Oslo Bislett Games Are Thursday (2- 4PM ET) *US HS Nationals Are Fri.-Sun. 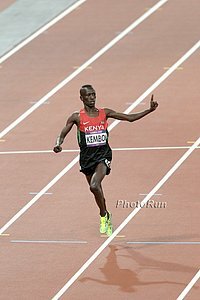 LRC Oslo Meet Preview: Dream Steeple: Kipruto Vs. Kemboi Round II Plus Dibaba Vs. Defar Round II Oslo should be fantastic as there is a mouth-watering men's steeple where double Olympic champ Ezekiel Kemboi gets his re-match with the 18-year-old sensation he threw off the track in Eugene. In the women's 5,000, Genzebe Dibaba tries to prove her win 5,000 over Defar wasn't a fluke. Plus the Dream Mile. Usain Bolt Returns To Action Thursday In 200m In Oslo And Laughs Off Suggestion His Time Has Passed The Diamond League meet is Thursday. Bolt is the headliner, plus Kipruto vs. Kemboi in steeple, Chicherova vs. Vlasic in high jump. Neither Kiplagat nor Kiprop are running the famed Dream Mile. 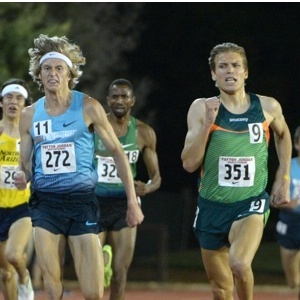 *SA 3:54 Miler Johan Cronje Hoping For A Good Race At Oslo Dream Mile After DNFing In Hengelo Last Weekend He set a NR in the 1500 earlier in the year with 3:33.46. *European Javelin Champ Vitezslav Vesely Wins Prague Competition On His First Throw He'll compete again tonight in Oslo. NBC Sports: What Will It Take To Motivate Usain Bolt? Robby Andrews Says Training Is Going Well And He "Feels Fast" Even If It Isn't Showing In Races He just ran a 1:49.74 for 4th place in Toronto. Past US Olympians And World Class Athletes Competing On 4x100 Relay Teams At US Champs To Raise Money For Boston Bombing Victims 1992 Olympic 800 bronze medalist Johnny Gray is on one of the teams. USOC looking at "a little more ten" American cities for potential 2024 Olympic bidsSan Francisco, Philadelphia, Boston, Dallas and Los Angeles "appear to the be the most likely cities for a bid." Wednesday In Senegal: World 400m Champion Amantle Montsho And Olympic 1,500m Champion Taoufik Makhloufi Are Running In Dakar On Wed.
Seb Coe, Steve Ovett And Steve Cram Will All Be Together In Oslo For 1st Time In Nearly 25 Years On Aug 1, 1980, Coe got the 1k WR and then Ovett broke Coe's mile WR. Cram would later get the WR in Oslo over a stacked field in 1985 in 3:46. 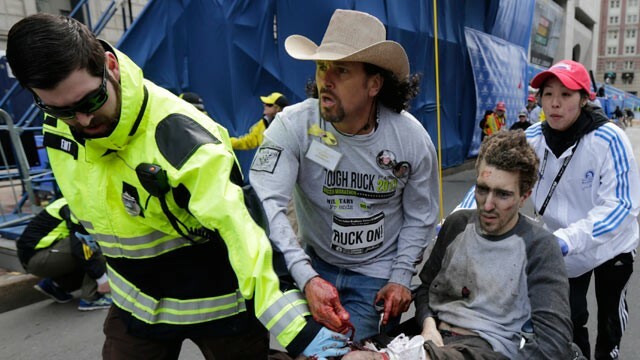 Meanwhile, Alan Webb did his 3:46 in the middle of nowhere. USATF Getting Into Reality TV With USATF 36: Sanya Richards-Ross It's the second reality show for SRR. The executive producer of this show is USATF CEO Max Siegel. Surprising: Brenda Martinez To Run 800, Not 1,500, At USAs The 1,500 team just got a lot easier for Mary Cain to make as the US gets to send 4. Register-Guard : Resilient Aggies In position For Men's Title Run Arkansas' Coach Chris Bucknam: "Right now, who can predict, but it looks like A&M's in the driver's seat, and Florida is between Oregon and Arkansas in the third and fourth spot." Olympic Bronze Medalist Derek Drouin Wins Battle With Silver Medalist Erik Kynard To Take HJ Title In 7-8 Our interview with Drouin is here. Drouin had the crowd do the "slow clap" on his final jump, an attempt at the NCAA record of 7-10, which he missed. He said he had ever asked the crowd to cheer him on, but "it was my last jump as a collegian, so what the heck." USC's Bryshon Nellum Wins 400 In 44.73 Our interview with him is here. Disgraced Canadian Olympian Ben Johnson Anchors 4x100 Team To Victory At Toronto Meet At 51-Years Old Johnson was stripped of his 100 gold medal and WR after testing positive at the 1988 Olympics. Usain Bolt And Yohan Blake Will Split Wildcards For World Champs With Bolt In The 200 And Blake In The 100 Jamaica had to choose between athletes since each country can only have one wildcard per event. The defending World Champ as well as DL series winner gets an automatic bid, so Blake and Bolt both had the 100 and Bolt and Nickel Ashmeade both had the 200. Sally Pearson Will Compete At June 27th Ostrava Golden Spike Meet, Coming Back From Her Second Hamstring Injury Of The Year She and her coach say things are coming along nicely, but they did take notice of Brianna Rollins 12.39 at the NCAAs last week. Kenya Chooses Their Team For This Year's IAAF World Youth Championships In The Ukraine There were some upsets as World junior champions Mercy Chebwogen (3000m) and Daisy Jepkemei (steeplec) both finished 2nd. Lilian Kasait won the 3000 in 9:11.70 to Chebwoen's 9:12.0 as Roseline Chepngetich won the steeplechase. Robert Biwott won the 1500 in 3:38.5. Capital FM: Drama, tears as Kenya selects Ukraine team Mysteriously, two athletes in the 400H and flat 400 were left off the team even though they won their event in a time faster than the qualification standard. Clemson's Brianna Rollins Named USATF Athlete Of The Week For Setting 100 Hurdles NCAA Record At NCAA Champs Last Week This was a surprise to many, but not her as she told her teammates before the prelim that she'd break the record. GB TJer Phillips Idowu Left Off Euro Team Champs Team, But UKA Denies Any Dispute They say he's still getting back in shape coming back from injury and want him to focus on training for Worlds. spikesmag.com Q&A: Brit Teen Sprinter Adam Gemili Talking about his 3 hypothetical dinner guests he included Bolt and Jessica Alba "for entertainment". GB's Shakes-Drayton Considering Move From 400H To Flat 400 She's running the 400H in Oslo today, but won Euro Indoor Champs in the 400 with 50.85. 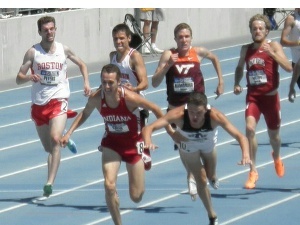 Toronto: Robby Andrews Beaten By Over 2 Seconds In 800, Running 1:49.74 The American star has a lot of work to do now. Andrews was 4th in a relatively slow race. *Main Results Full results here. Zane Robertson ran 3:40 in 1,500. UK Athletics Aware Mo Farah Worked With John Smith Apparently some in the UK regard Smith as a controversial coach. A one-off meeting doesn't concern us at all. Recommended Read: Race Director For Grandma's Marathon Scott Keenan - The Longest-Serving Race Director In The USA - Is Retiring He's been at Grandma's basically since the beginning, 37 years, and has made the race his life. Few Dozen People Greet National Champ Florida Gators When They Return Home Thank goodness for the soccer coach with the homemade sign. Kevin Liao Asks: If Josh Mance Hadn't Transferred Away, Could USC Have Delivered Coach Ron Allice A National Title In His 50th And Final Year? Kind of a moot point as Mance didn't even make it a semester at FSU before a gun incident did him in. Brits Remember Olympic And Commonwealth Medallist Donna Hartley-Wass, Who Died Recently At Age 58 The 400 runner turned body builder died while sun bathing. Is Christian Taylor Likely To Take Down Jonathan Edwards' TJ WR? 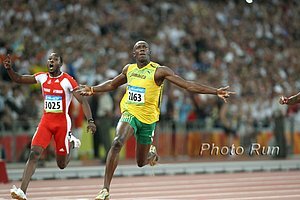 Speedendurance.com: Bolt's Loss To Gatlin - What Have We Learned? Good News: NY Times Says You May Only Need To Go To A Dentist Once A Year The bad news is you have certain risk factors you should go more than twice a year. *MB: Gatlin goes down! Could a white man win the 100m at Moscow 2013?!?!? *Full Results: Mohammed Aman Wins 800 In 1:44.37 Over Duane Solomon (1:44.91) Olympic bronze medalist Thomas Longosiwa won the 5k in 13:03 and Ethiopia's Hiwott Ayalew beat Lydia Chepkurui in a close steeplechase 9:18.72 to 9:18.77. Also Hellen Obiri won the 1,500 (4:03.55) and Russian bronze medalist Ekaterina Poistogova won the 800 in 1:59.80. Yohan Blake Returns From Injury With A 200m Win In Kingston In 20.72; Says He Feels "Rusty"
Leonard Korir Wins The Garden Of The Gods Ten Mile Run In 50:48 On Tough Course Belainesh Gebre won the women's race in a CR with 58:45. Hengelo Results: In addition to Bekele dropping out, Silas Kiplagat continued his winning ways, young French 800m runner Pierre-Ambroise Bosse got a nice win and Abeba Aregawi dropped down to the 800. *MB: Kenenisa Bekele Drops Out Of Hengelo 5k The winning time was 13:04 but it proved to be too hot for Bekele. 2008 Olympic 110H Champ Dayron Robles Looking To Represent Another Country? Robles requested to leave the Cuban athletics team in January, but it looks like the Cuban Federation will do what they can to stop him from running for someone else. CNN "Human To Hero" Piece On Haile Gebrselassie Who Says He'll Run Until He Dies Geb blames increased standard of living in Ethiopia on producing less good runners, saying, "The more good things you have, the less athletes you have. 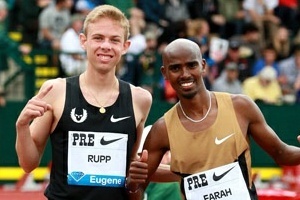 You don't see so much athletes from Addis Ababa (the capital). You don't see so much athletes from the city, most of our athletes they come from the countryside." Wednesday In Dakar: Full Results From Dakar IAAF World Challenge Ethiopia's Almaz Ayana won the 3k in 8:44, Daniel Komen the 1500 in 3:35 and Kim Collins the 100 in 10.04. Mary Cain Runs US High School Record With 15:45.46 This puts her 5th all-time in the U.S. women junior list. 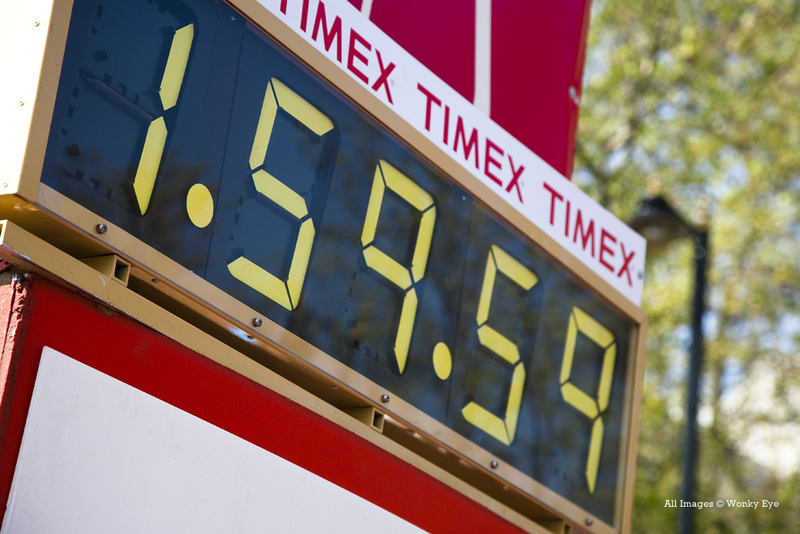 (Molly Huddle has the record at 15:36.95). Treniere Moser was 2nd in 15:35 as Karolina Jarzynska won it in 15:25. Tyler Mulder Wins 800 In 1:44.79; Mark Wieczorek 3rd (1:45.85), Matt Centrowitz 4th (1:45.86), Andrew Wheating 6th (1:46.85) Ryan Martin 7th in 1:46.87 and Charles Jock was 8th in 1:47.51. Aisha Praught Wins Portland Steeple In 9:50 Over Shalaya Kipp Alexi Pappas was back in 5th in 9:57. Other Distance Results: Luke Puskedra 3rd In 5k With 13:42; Violah Lagat Wins 1,500 (4:09) Over Brie Felnagle & Bridget Franek Jason Hartmann-coached HSer Elise Cranny was 4th (4:15).